Located on the northern slope of the 1,575 foot north peak of Burnt Meadow Mountain, Burnt Meadow Mountain ski area operated as a surface lift facility for about a decade. The lumber town of Brownfield suffered a devastating fire in 1947, which reportedly burned 500 homes. With sawmills as a major employer, the loss of multiple square miles of woods was considered devastating. According to the New England Lost Ski Areas Project, the concept behind Burnt Meadow Mountain ski area dates back to 1965, when economically depressed Brownfield began looking into developing a recreational facility. The United States Farmers Home Administration soon provided funds to procure the land and start development. For unknown reasons, development was delayed. The Burnt Meadow Mountain Recreation Association was formed by members of the town planning commission, which continued working toward opening a recreational facility. Seeking FHA funds, the group had to go through the Maine Recreation Commission, which was reportedly pushing for a large development including multiple lifts, as well as a mid-mountain clubhouse. After scaling down plans, FHA approved a $275,000 loan on June 21, 1971. A 3,148 foot long Stadeli T-Bar was constructed that year, climbing 675 vertical feet (some 475 vertical feet below the open summit of the north peak of Burnt Meadow Mountain) and serving trails up to one mile long. Operating without snowmaking, the ski area opened on February 5, 1972, and reportedly closed for the season in April. Cross country skiing was also reportedly offered. Future plans were made for a chairlift and golf course. For its second season, a 600 foot pony lift was installed for beginners. Likely due to finances, energy issues, and a reliance on natural snow, this would be the last measurable expansion at Burnt Meadow Mountain. Possibly during the 1979-80 season, the Pierce family, owners of Big Rock ski area in Mars Hill, took over Burnt Meadow Mountain, likely renaming it Zodiac Skiway. A holding company named Brownfield Ski Area, Inc. was established on February 6, 1980. Perhaps due to the lean snow years in the early 1980s, the ski area shut down circa 1982. While there were rumors that the area would either reopen or be liquidated, neither has happened in the two decades following the closure. Rather than remove the T-Bar, the Pierces acquired a double chairlift from nearby Evergreen Valley and installed it at Big Rock. Meanwhile, forest has reclaimed Burnt Meadow Mountain ski area. The base lodge may have burned in April 1988. 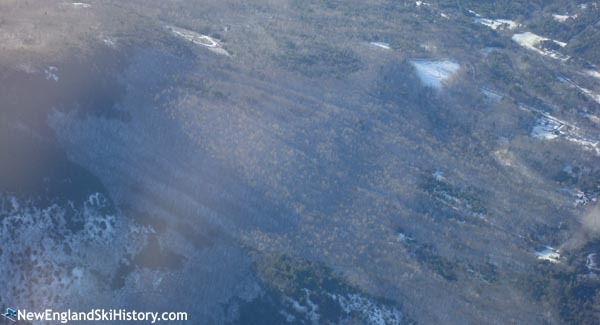 Though the Pierces eventually sold Big Rock to Maine Winter Sports Center in 2000, it appears they still own the Burnt Meadow Mountain property and Brownfield Ski Area, Inc. as of 2014. 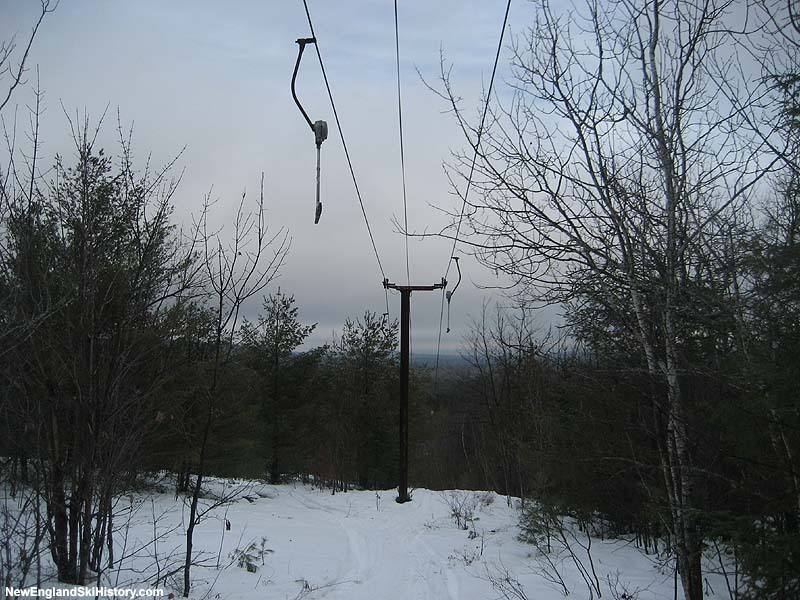 While it is increasingly unlikely that Burnt Meadow Mountain will reopen, there are still rumors that the T-Bar could be removed and reinstalled elsewhere in New England.